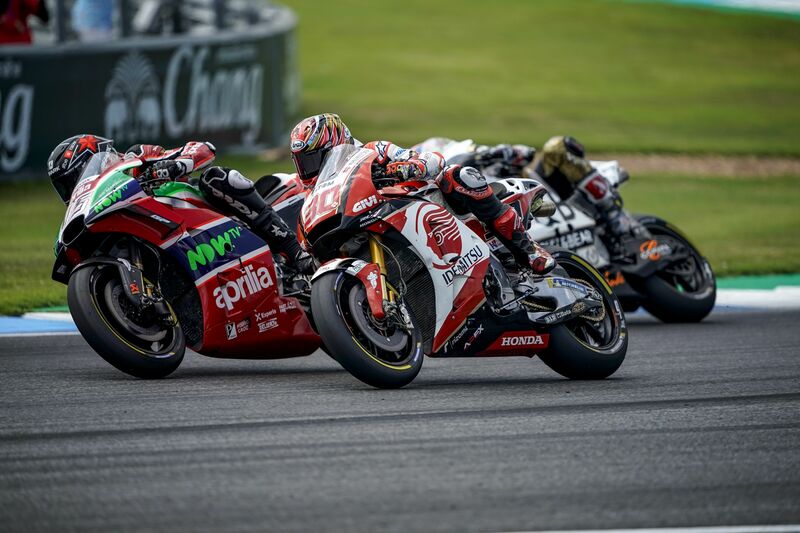 It proved a forgettable first-ever Thailand Grand Prix for LCR Honda IDEMITSU rider Takaaki Nakagami as he finished 22nd at the Buriram International Circuit on Sunday. Having qualified on the fifth row, the Japanese rookie saw his hopes of a good result disappear after an early fall and, despite rejoining, could do little more than just finish the race. Having lost some places after the start, Taka was looking to make progress on the third lap but lost the front end of his RC213V at the final corner of the circuit and slid out. With his bike damaged from the crash, the LCR man was left to lap at the back of the field but showed perseverance to see the chequered flag. “Of course I’m disappointed, unfortunately there were some easy mistakes. I made a mistake on the brakes in the last corner and was too fast into the apex and lost grip. I lost the front and crashed, after that I rejoined and just tried to finish the race.